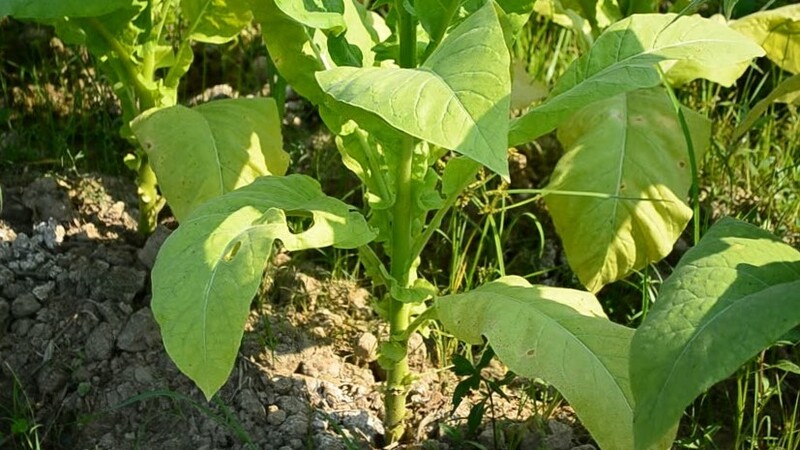 Tobacco is a product is an additive product prepared from the dry leaves of the tobacco plant, there is more than 70 species of tobacco are known. It can cause multiple diseases has a severe ill effect on the body. 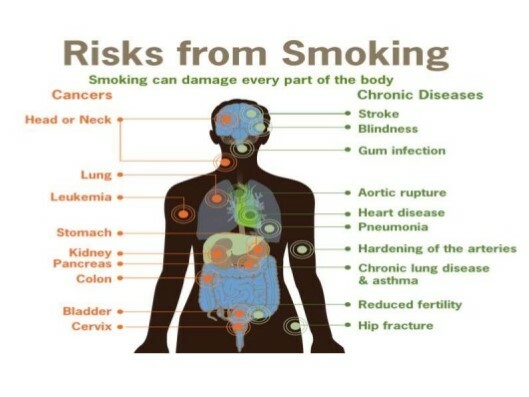 Smoking tobacco causes exposure to a mixture of which about at least 250 toxic, including more than fifty chemicals carcinogens that can damage nearly every organ system in the human body. The most important & dangerous constituents are nicotine, carbon monoxide & tar; nicotine, which is a highly addictive psychoactive drug. Tobacco use is one of the most important preventable causes of premature death in the world. The World Health Organization (WHO) estimates that Tobacco kills more than 7 million people each year. More than 6 million of those deaths are the result of direct tobacco use while around 890 000 are the result of non-smokers (passive smoker) being exposed to second-hand smoke. Snuff moist & dry etc. Cancer: Tobacco contains multiple carcinogenic agents which increases the risk of cancer particularly lung cancer, oral cancer, cancers of the larynx, pancreatic cancer, bladder cancer, cervical cancer, breast and cancer of the esophagus etc. Passive smoke may also cause cancer. Pulmonary: It has been noticed & believed chronic exposure of tobacco may responsible for pulmonary damage and for loss of elasticity in the alveoli, leading to emphysema and Chronic obstructive pulmonary disease (COPD). It can cause shortness of breath, wheezing, persistent cough with sputum, triggering asthma, and damage to the lungs, including emphysema and chronic bronchitis. Chronic obstructive pulmonary disease (COPD) is one of the leading causes of death in the world, globally; more than 40% of all deaths from COPD are attributed to tobacco use. Cardiovascular disease: Smoking also increases the risk of heart disease, stroke, atherosclerosis, and peripheral vascular disease. Several ingredients of tobacco lead to the narrowing of blood vessels, increasing the likelihood of a blockage, and thus can cause increased blood pressure, later heart attack or stroke. After smoking within a minute the heart rate begins to rise, increasing by as much as 30 percent during the first 10 minutes of smoking. Carbon monoxide in tobacco smoke exerts negative effects by reducing the blood’s ability to carry oxygen. 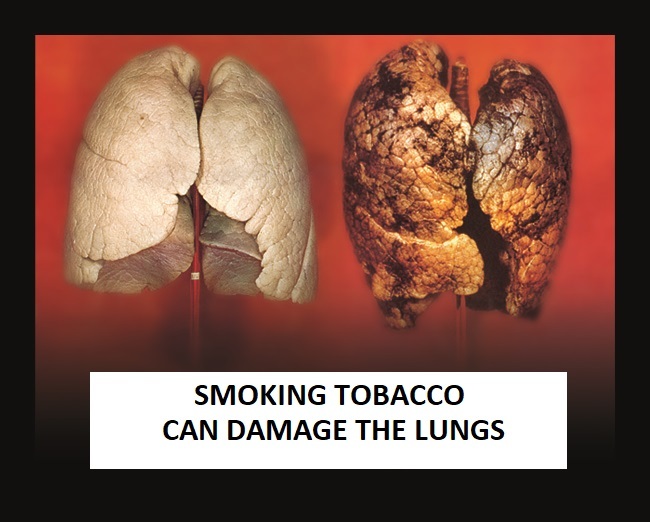 Cigarette smoking can cause lung cancer. American biologists have determined that cigarette smoke influences the cell division in the cardiac muscle and changes heart’s shape. 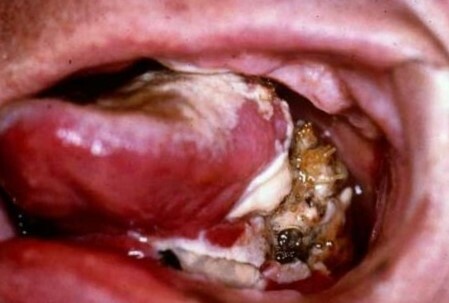 Oral: Tobacco can cause oral lesions & cancer in lips, tongue, cheek, mucosa & larynx etc. It can cause tooth discolouration, severe gum & periodontal diseases. It also may cause Xerostomia, which may increase the chance to develop caries tooth in the mouth. Brain: Tobacco which contains Nicotine, it makes you feel relaxation & calmness when you are smoking, but it can make you anxious, nervous, moody, and depressed after you smoke. Infection: Smoking is also linked to susceptibility to infectious diseases, like pneumonia & Streptococcus particularly in the lungs. Smoking increases the risk of Kaposi’s sarcoma in people without HIV infection. Pregnancy: Miscarriages is seen among pregnant smokers on multiple studies. Tobacco is very harmful to fetus, it can cause multiple defects to baby & can cause lower infant birth weights.